^ "Italy: Knights of Malta rejects alleged link to military action – Adnkronos Religion". Adnkronos.com. 7 April 2003. Archived from the original on 12 April 2010. Retrieved 17 March 2010. ^ "Sovereign Order of Malta". Orderofmalta.int. Archived from the original on 20 July 2008. Retrieved 12 April 2016. ^ Keating, Joshua E. (19 January 2011). "Who Are the Knights of Malta — and What Do They Want?". Foreign Policy. Archived from the original on 30 August 2018. Retrieved 29 August 2018. ^ "Malta Permanent Mission to the United Nations". Un.int. Archived from the original on 22 April 2016. Retrieved 12 April 2016. ^ "Names of the Order". Sovereign Order of Malta. Archived from the original on 28 January 2017. Retrieved 25 January 2017. ^ "Focus on Malta – History". Focusmm.com. Archived from the original on 14 February 2012. Retrieved 12 October 2008. ^ Pièces diverses relatives aux operations militaires et pol. du gén. Bonaparte (in French). Paris: De l'imprimerie de P. Didot l'aîné. 1800. p. 32. Archived from the original on 10 November 2014. Retrieved 2 November 2017. 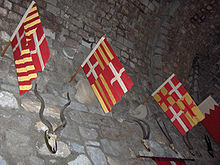 ^ "After Two Centuries, the Order of Malta Flag Flies over Fort St. Angelo beside the Maltese Flag". Order of Malta. 13 March 2001. Archived from the original on 16 September 2016. Retrieved 13 November 2014. ^ Tornielli, Andrea (26 January 2017). "The Order of Malta's crisis". La Stampa. Archived from the original on 26 January 2017. Retrieved 26 January 2017. ^ "Vatican condom row: pope prevails as Knights of Malta chief resigns". The Guardian. Reuters in Vatican City. 24 January 2017. Archived from the original on 25 January 2017. Retrieved 24 January 2017. ^ Pullella, Philip (29 January 2017). "The Knights of Malta-Vatican feud: a tale of chivalry and sovereignty". Reuters. Archived from the original on 29 January 2017. Retrieved 28 January 2017. ^ "Pope intervenes in Knights of Malta after head resigns under pressure". Reuters. 24 January 2017. Archived from the original on 25 January 2017. Retrieved 24 January 2017. ^ Pentin, Edward (26 January 2017). "Pope Francis Declares All of Festing's Recent Acts 'Null and Void'". National Catholic Register. Archived from the original on 27 January 2017. Retrieved 26 January 2017. ^ Allen J., John L. (13 May 2011). "A triptych on Benedict's papacy, and hints of what lies beyond". National Catholic Reporter. Archived from the original on 12 June 2017. Retrieved 8 February 2017. Becciu was Substitute for General Affairs of the Secretariat of State, a position akin to that of a papal chief of staff. 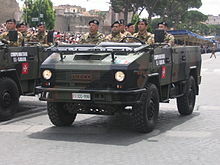 ^ "Lettera Pontificia al Sostituto per gli Affari Generali della Segreteria di Stato per la nomina a Delegato Speciale presso il Sovrano Militare Ordine di Malta" (in Italian). Holy See Press Office. 2 February 2017. Archived from the original on 17 January 2018. Retrieved 16 May 2018. ^ Lamb, Christopher (30 January 2017). "Cardinal Burke 'in Office but out of Power' as Job Handed to Papal Delegate". The Tablet. Archived from the original on 30 January 2017. Retrieved 30 January 2017. ^ O'Connell, Gerard (3 February 2017). "Dust up with Order of Malta ends not with a bang but a reinstatement". America Magazine. New York. Archived from the original on 18 April 2017. Retrieved 17 April 2017. [Francis] made clear that the delegate would not have any role in the order's governance, out of respect for the order's sovereignty. ^ Arocho Esteves, Junno (3 August 2017). "Ancient order, modern times: Order of Malta focuses on renewal". National Catholic Reporter. Catholic News Service. Archived from the original on 21 August 2017. Retrieved 21 August 2017. ^ "The Constitutional Reform of the Sovereign Order of Malta". Order of Malta. 28 June 2017. Archived from the original on 22 August 2017. Retrieved 21 August 2017. ^ "Working to update the Constitution of the Sovereign Order of Malta". Order of Malta. 17 November 2017. Archived from the original on 12 June 2018. Retrieved 7 June 2018. ^ "Letter of the Holy Father to the Special Delegate at the Sovereign Military Hospitaller Order of Saint John of Jerusalem, of Rhodes and of Malta (S.M.O.M. ), 04.05.2018" (Press release). Holy See Press Office. 4 May 2018. Archived from the original on 5 May 2018. Retrieved 4 May 2018. ... up to the conclusion of the reform process and in any case until I consider it useful for the Order itself. ^ Brockhaus, Hannah (4 May 2018). "Pope Francis extends mandate of special delegate to Knights of Malta". Catholic News Agency. Archived from the original on 4 May 2018. Retrieved 4 May 2018. ^ McElwee, Joshua J. (23 June 2017). "New Knights of Malta leader genuflects before Francis in Vatican meeting". National Catholic Reporter. Archived from the original on 21 August 2017. Retrieved 21 August 2017. ^ "National Institutions". www.orderofmalta.int. Order of Malta. Archived from the original on 15 September 2016. Retrieved 2 September 2016. ^ Lamb, Christopher (2 May 2018). "Knights of Malta elect Fra' Giacomo Dalla Torre as Grand Master". The Tablet. Archived from the original on 2 May 2018. Retrieved 3 May 2018. ^ "Grand Hospitaller". Orderofmalta.int. Archived from the original on 23 June 2017. Retrieved 13 November 2017. ^ "Receiver of the Common Treasure". Orderofmalta.int. Archived from the original on 23 June 2017. Retrieved 13 November 2017. ^ "The Order of Malta's patron Paolo Sardi has been created cardinal". 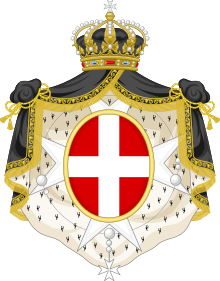 Sovereign Military Order of Malta. 25 November 2010. Archived from the original on 6 February 2017. Retrieved 6 February 2017. ^ Rocco, Francis X. (10 November 2014). "Pope removes Cardinal Burke from Vatican post". National Catholic Reporter. Catholic News Service. Archived from the original on 6 February 2017. Retrieved 6 February 2017. ^ "Mgr Jean Laffitte, prélat de l'Ordre souverain militaire de Malte". Zenit (in French). 4 July 2015. Archived from the original on 11 September 2016. Retrieved 4 September 2016. ^ "Knights of Malta". Archived from the original on 3 January 2017. Retrieved 2 January 2017. ^ "The Nuns of the Order of Malta". Archived from the original on 23 June 2017. Retrieved 22 November 2017. ^ "Jerusalem Scene: The Newsletter of St John of Jerusalem Eye Hospital Group - Spring 2017 - Funding Today" (PDF). Saint John Eye Hospital Group. 2017. Archived (PDF) from the original on 2 September 2018. Retrieved 1 September 2018. ^ "Sovereign Order of Malta". Orderofmalta.int. Archived from the original on 9 March 2018. Retrieved 23 April 2018. ^ "Sovereign Order of Malta – Official site". Orderofmalta.int. Archived from the original on 9 October 2011. Retrieved 21 August 2011. ^ "SMOM Plates". Targheitaliane.it. 24 August 1994. Archived from the original on 19 July 2011. Retrieved 17 March 2010. ^ "Sovereign Order of Malta – Official site". Orderofmalta.int. Archived from the original on 23 February 2018. Retrieved 17 January 2018. ^ "The Coins of the Sovereign Order of Malta". Orderofmalta.int. Archived from the original on 28 October 2017. Retrieved 17 January 2018. ^ "UN Permanent Observers". Un.org. Archived from the original on 4 April 2016. Retrieved 13 November 2014. ^ "Internet Assigned Numbers Authority database of top level domains". Iana.org. Archived from the original on 23 February 2011. Retrieved 17 March 2010. ^ "LIST OF ITU-T RECOMMENDATION E.164 ASSIGNED COUNTRY CODES" (PDF). ITU-T. 1 November 2011. Archived (PDF) from the original on 31 January 2012. Retrieved 19 May 2015. ^ "The French Republic does not recognise the SMOM as a subject of international law; see a statement by the spokesman of the French Ministry of Foreign Affairs, Feb 7, 1997". Heralda.org. Archived from the original on 26 October 2014. Retrieved 13 November 2014. ^ "TRIBUNAL E CARDINALIZI O COSTITUITO CON PONTIFICIO CHIROGRAFO DEL 10 DICEMBRE 1951 (judgment dated 24 January 1953)" (PDF). Acta Apostolicae Sedis (in Italian). The Holy See. XLV (15): 765–767. 30 November 1953. Archived (PDF) from the original on 14 February 2015. Retrieved 13 February 2015. ^ "Associate Countries". Archived from the original on 22 February 2018. Retrieved 22 January 2018. ^ "This photograph shows four members of the Corps standing guard at the coffin of a deceased Grand Master of the Order". Orderofmalta.int. Archived from the original on 6 November 2018. Retrieved 12 April 2016. Santolaria de Puey y Cruells, José-Apeles (1997). Escuela Diplomática Española (ed.). Relaciones jurídicas internacionales de la Soberana Orden de San Juan de Malta. Google Docs. Fra' Andrew Willoughby Ninian Bertie was Prince and Grand Master of the Sovereign Military Order of Malta from 1988 until his death in 2008. The Order of Pope Pius IX, also referred as the Pian Order, is a papal order of knighthood originally founded by Pope Pius IV in 1560. The awarding of the order fell into disuse and was re-instituted by Pope Pius IX as a continuation on 17 June 1847. Since November 1993, it has been granted to women. The Order of Knights of the Hospital of Saint John of Jerusalem, also known as the Order of Saint John, Order of Hospitallers, Knights Hospitaller, Knights Hospitalier or Hospitallers, was a medieval and early modern Catholic military order. It was headquartered in the Kingdom of Jerusalem, on the island of Rhodes, in Malta and St Petersburg. The Sovereign Military Order of Malta is a sovereign entity maintaining diplomatic relations with 107 sovereign states, the European Union, the Holy See, and the State of Palestine. Additionally, it has observer status or representation at multiple intergovernmental organisations. The Order exchanges ambassadors with the European Union and the State of Palestine, and has non-diplomatic official relations with five more states: France, Belgium, Switzerland, Luxembourg and Canada. Palazzo Malta, officially named as the Magistral Palace, and also known as Palazzo di Malta or Palazzo dell'Ordine di Malta, is the more important of the two headquarters of the Sovereign Military Order of Malta, a Roman Catholic lay religious order and a sovereign subject of international law. It is located in Via dei Condotti 68 in Rome, Italy, a few minutes' walk from the Spanish Steps, and has been granted extraterritoriality by the Italian Government. 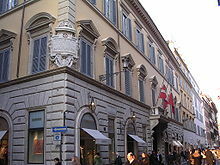 The Palace is a property of the Order of Malta since 1630. Villa del Priorato di Malta or Magistral Villa, located on the Aventine Hill in Rome, is one of the two institutional seats of the government of the Sovereign Military Order of Malta. Along with Magistral Palace, the estate is granted extraterritorial status by Italy. It also hosts the Grand Priory of Rome and the embassy of the Sovereign Order of Malta to Italy. Robert Matthew Festing served as Prince and Grand Master of the Sovereign Military Order of Malta from 2008 until his resignation following a dispute with the Vatican on 28 January 2017. Mariano Hugo, Prince of Windisch-Graetz is the current head of the Austrian or Italian House of Windisch-Graetz. A former ambassador of the Sovereign Military Order of Malta (SMOM) to the Slovak Republic, he is currently SMOM's ambassador to Slovenia. H.E. Bailiff Jean-Pierre Mazery is a French economist and was the Grand Chancellor of the Sovereign Military Order of Malta (SMOM), a post he has held from 2005 - 2014. This is a survey of the postage stamps and postal history of the Sovereign Military Order of Malta. Fra' Gherardo Hercolani Fava Simonetti was the Grand Commander of the Sovereign Military Order of Malta between 2009 and 2011, and as such he was the religious superior of the professed knights and of the knights and dames in obedience. Saint John's Cavalier is a 16th-century cavalier in Valletta, Malta, which was built by the Order of St. John. It overlooks St. John's Bastion, a large obtuse-angled bastion forming part of the Valletta Land Front. St. John was one of nine planned cavaliers in the city, although eventually only two were built, the other one being the identical Saint James Cavalier. 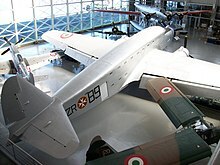 It was designed by the Italian military engineer Francesco Laparelli, while its construction was overseen by his Maltese assistant Girolamo Cassar. Pie postulatio voluntatis is a papal bull issued on 15 February 1113 by Pope Paschal II, in which the Pope formally recognized the establishment of the Knights Hospitaller and confirmed its independence and sovereignty. Today, the document is preserved at the National Library of Malta in Valletta, Malta.